Have you ever noticed there are holidays and calendar celebrations for just about everything these days? I’m not talking about your standard issue holidays like Thanksgiving and Christmas. I’m talking about holidays like “National Kale Day” (the first Wednesday in October if you’re interested) or “Take a Hike Day” (which falls on November 17th this year). To be clear, I have nothing against these holidays, but in searching through these celebrations, I did find a holiday that I am about a million percent behind and very ready to celebrate: National Coffee Day! If you saw my recent article about iced coffee, then you know I love coffee. 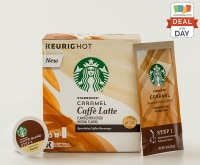 So, to learn of a day dedicated to my fav morning beverage just makes me happy. It also inspired me to share how to make flavored coffee in your own kitchen, no barista needed. 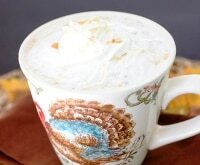 Just think: A salted caramel latte within reach right at home and the flavors don’t stop there! 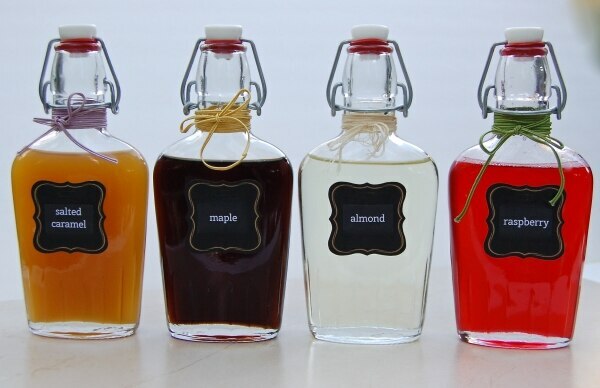 Almond, maple, and even raspberry coffee syrups can all be yours. 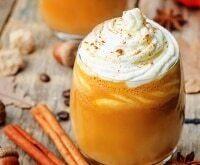 Let’s embrace National Coffee Day today with some simple DIY concoctions that will add wonderful flavors into your coffee experience! 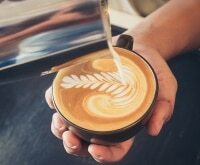 Want more tasty coffees you can make at home? 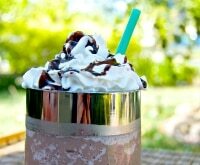 Check out these healthy coffee drink recipes — including Skinny Caramel Brulee Latte and a Peppermint-Dark Chocolate Latte! 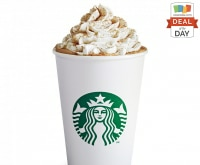 These offers are available on National Coffee Day, Thursday, September 29, unless otherwise noted. Cheers! These recipes are all variations on a base of simple syrup, which is made by combining equal parts sugar and water (1:1) and heating the solution until the sugar dissolves. They’re ideal drink sweeteners because the sugar is dissolved, giving them a smooth texture rather than the grainy texture that comes when you add straight sugar to your coffee. The good news is you can also use these syrups for more than just your morning latte. 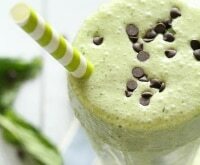 Try adding them to your iced coffee, as an ingredient in a cocktail or mocktail, or even as a topper for ice cream. 1. In a high-sided saucepan over medium-high heat, combine cold water with granulated sugar. 2. Bring water and sugar to a boil, stirring occasionally. Turn heat to low and stir constantly until the sugar dissolves completely and the mixture is clear, approximately 3-5 minutes. 3. 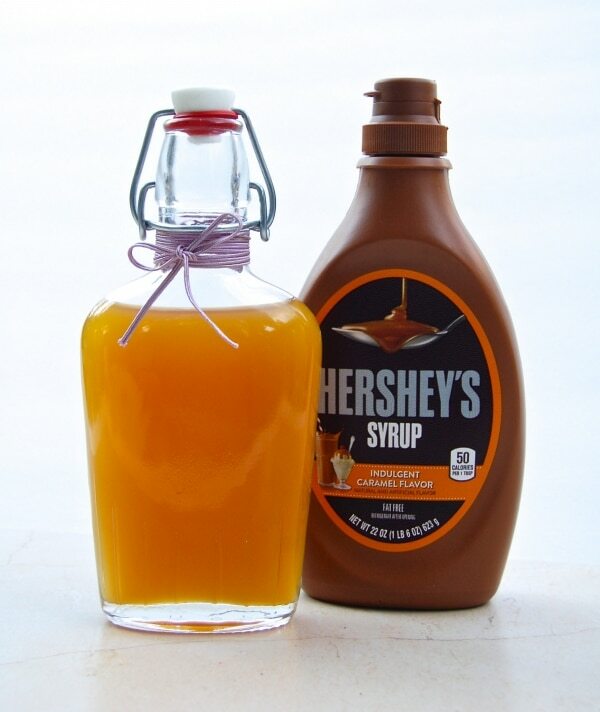 Let your simple syrup cool completely to room temperature. 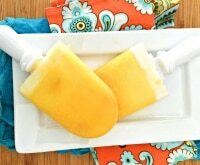 Pour into a container, cover, and refrigerate. 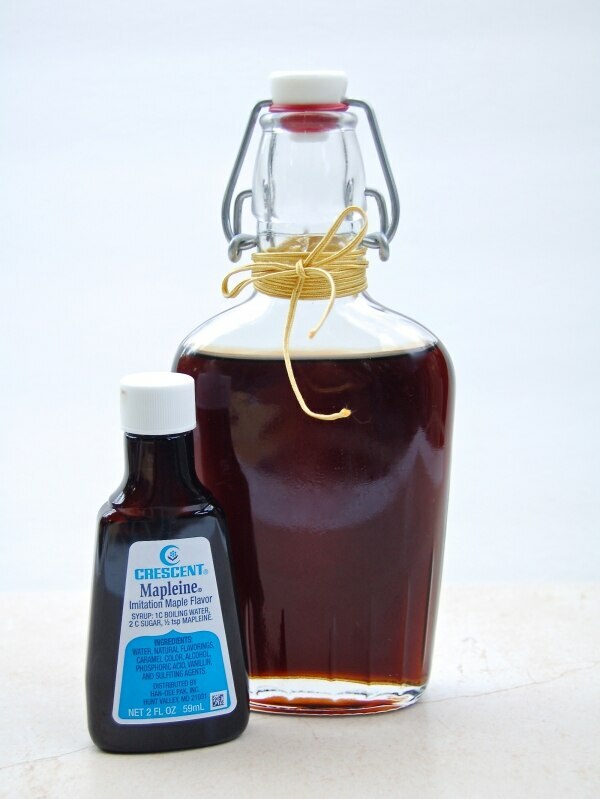 Your syrup should keep in the refrigerator for 3-4 weeks. Now that you’re familiar with the basic recipe, let’s add some flavor alterations to get your coffee syrups started! 1. Follow the basic simple syrup recipe as outline above but reduce water to 3/4 cup. Add 1/4 cup caramel sauce to sugar ingredients at step 1 and follow directions as outlined. 2. 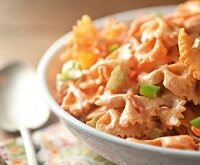 At the end of step 2, add a 1/2 Tablespoon of kosher or Himalayan pink salt and stir to combine. 3. Follow step 3 to complete. 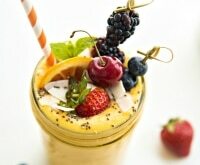 Before using, give the bottle a shake to combine ingredients as they can settle after being in the fridge. 1. Follow the basic syrup recipe as outlined above, but in place of all white sugar, substitute 1/2 cup of white sugar and 1/2 cup of dark brown sugar. 2. At step 1 add 1 teaspoon of maple extract/imitation maple flavor into the sugar syrup. Stir to combine and let cool completely. 1. Follow basic simple syrup recipe as outlined above. 2. 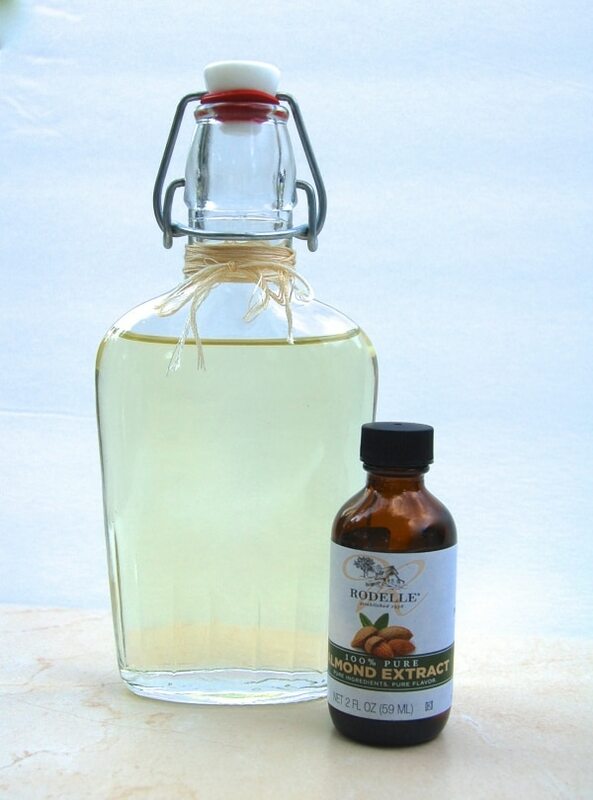 Once sugar is dissolved and heat reduced, add 1-1/2 teaspoons of almond extract to the sugar syrup. Stir to combine and let cool completely. 1. 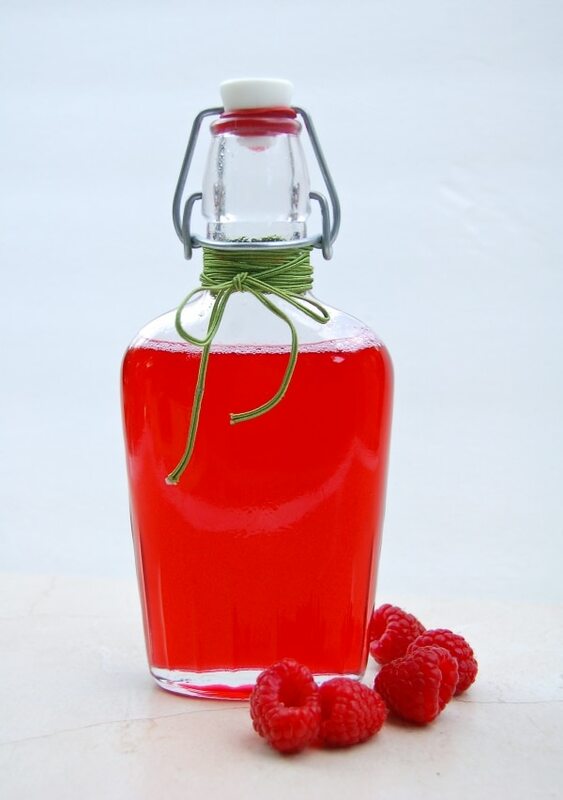 Follow the basic syrup recipe as outline above and add 3/4 cup fresh raspberries at step 1. 2. Let syrup sit for 15 minutes and, using a fine mesh metal strainer, remove berry solids. 3. This may seem like an odd flavor for coffee, but don’t knock it until you try it. 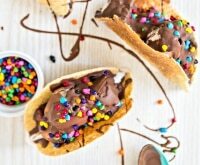 If you add a little chocolate syrup you’ll be surprised you lived without this for so long! If you’re like me, you just crave the frothy milk topping that comes from a good latte. Now that I’ve got my flavored coffee syrups at the ready, I’ve also discovered the fastest means to a perfect latte at home without the expense of an espresso machine. Enter the AeroLatte. This little handheld wonder can be found on Amazon or at Bed, Bath & Beyond for around $20 and it’s changed my morning coffee game completely. 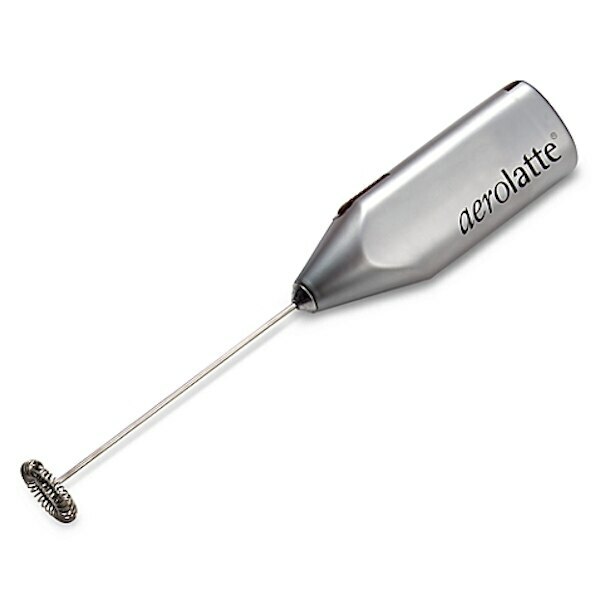 You’ll be frothing your milk and making the perfect cappuccino or latte in no time with this tool!